Where Roots And Wings Entwine: Water usage - Down the Plughole infographic. 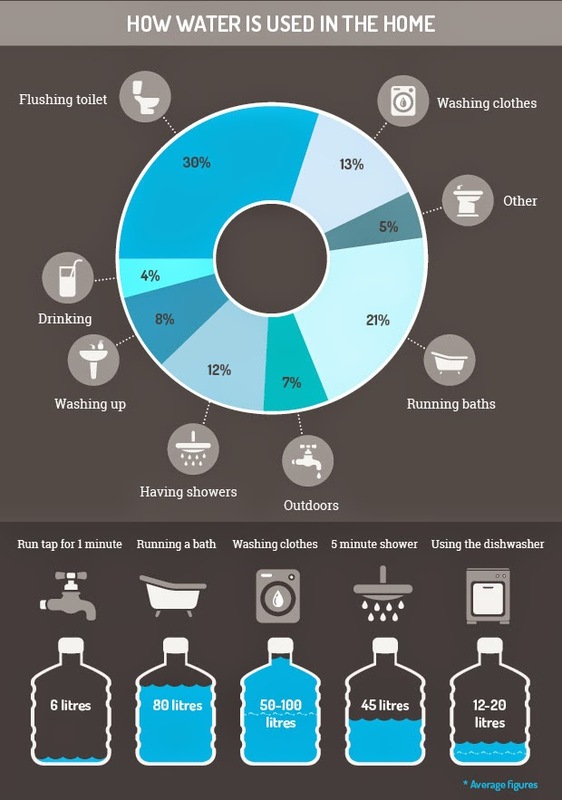 Water usage - Down the Plughole infographic. Here in the UK we are considerably lucky that water resources are abundant in comparison to developing countries where there is inadequate access to water especially clean, safe water. 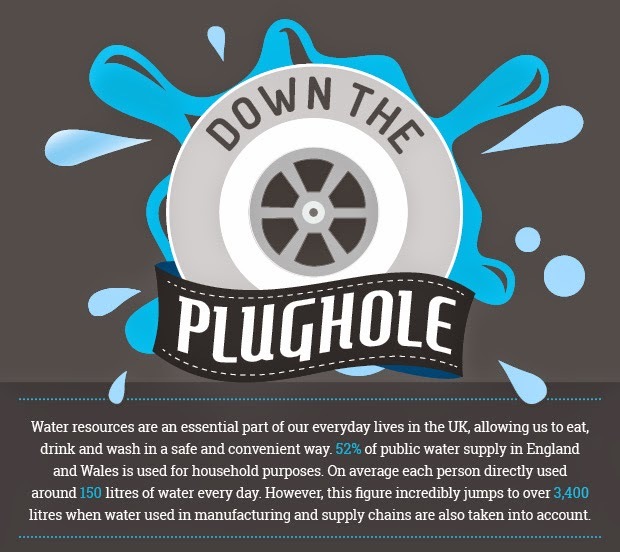 As highlighted in Water Pressure Problems’ informative Down the Plughole infographic, it is thanks to the water resources we have here in the UK that we have a plentiful supply of essential water for our everyday lives; which allows us to eat, drink and wash conveniently and safely. But whilst we are lucky to have adequate water resources readily available to meet our daily water needs, there are mounting challenges of water quantity and quality affecting the UK. 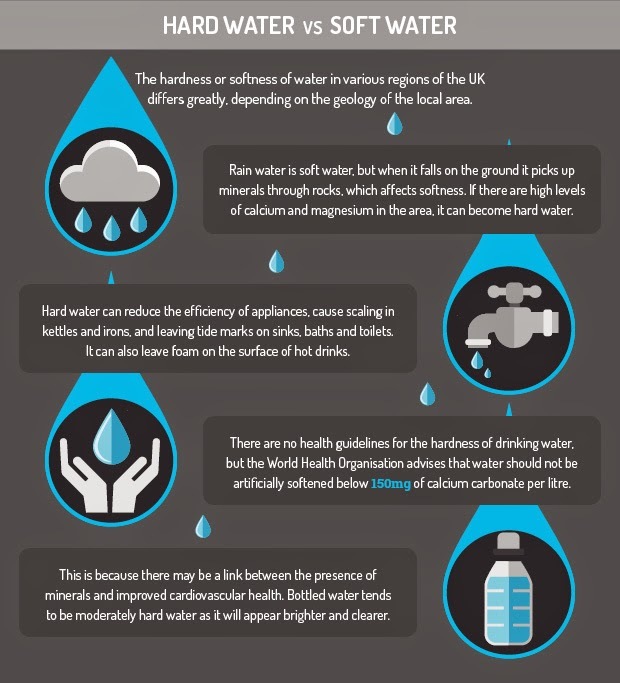 A few of the challenges on the UK water supply are mentioned in the infographic below, which highlights that “pressures on water resources may also increase due to population growth and changes in household sizes”. The infographic also emphasises the fact the government would like to reduce personal water usage over the next few years as “the energy used to heat water in UK homes generates 35 million tonnes of greenhouse gas emissions every year….over 5% of the UK’s total greenhouse gas emissions”. 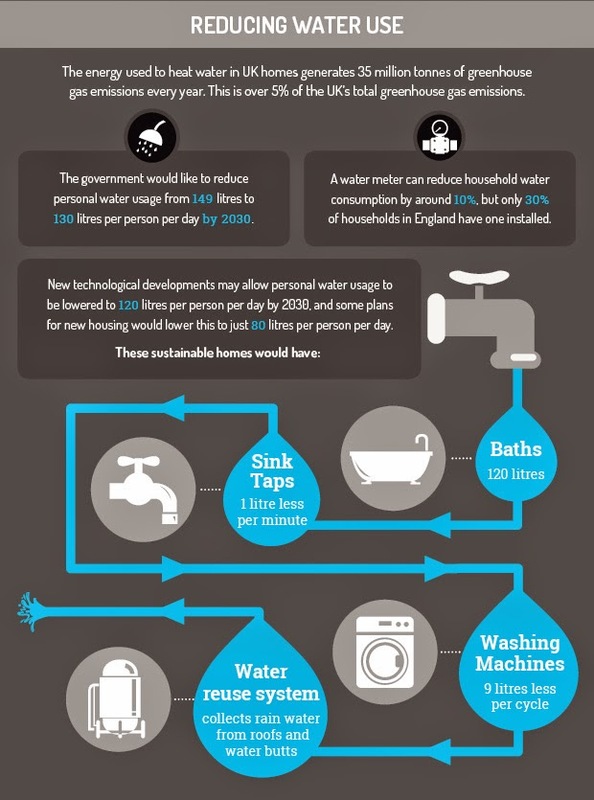 The infographic shows that to help reduce water consumption new technological developments are being developed to decrease water usage and that new, sustainable homes being built would make use of eco-friendly technology such as water reuse system along with energy and water efficient appliances. As an eco-conscious family who are keen to lower their water usage for environmental and economic reasons I find the information surrounding water usage, in particular how to reduce water consumption, on the Down the Plughole infographic an interesting read. 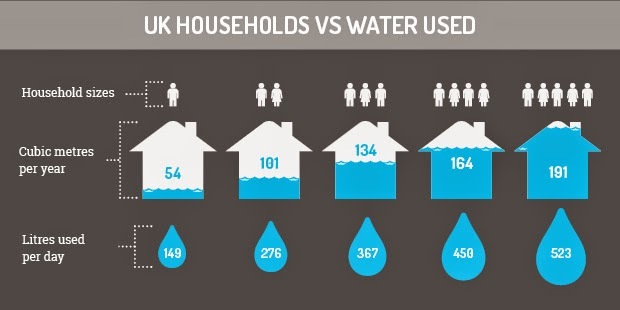 Not only is it interesting to read about reducing water usage it is also very interesting to see how water is used in the UK. Not surprisingly flushing the toilet uses the most water in homes, stacking up a whopping 30% of water usage, followed closely by running baths which counts towards 21% of water usage. Interestingly washing clothes only counts towards 13% of household water usage and washing up is only 8% of how water is used in the home. 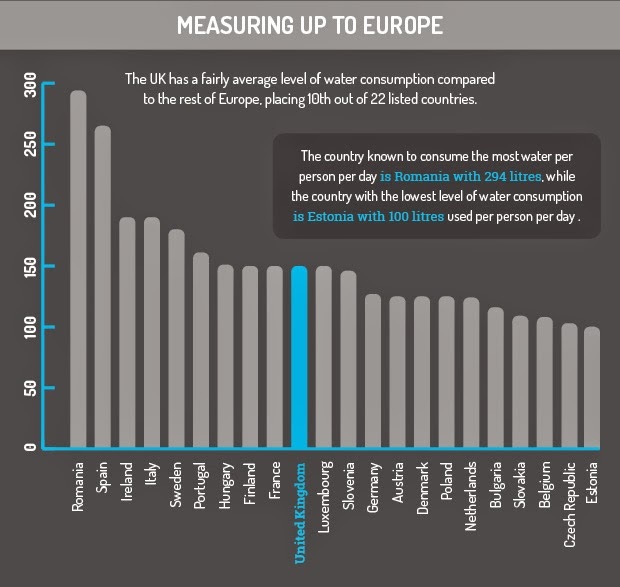 Take a look at the Down the Plughole infographic below which was created by www.waterpressureproblems.com for more interesting facts about water usage in the UK including the fact that “the UK has a fairly average level of water consumption compared to the rest of Europe, placing 10th out of 22 listed countries”.